I want to take this opportunity to wish you and your family the happiest of holidays. I love to celebrate Christmas with my family and since you’re likely spending time with your loved ones too, I’ll keep today’s blog short and sweet. 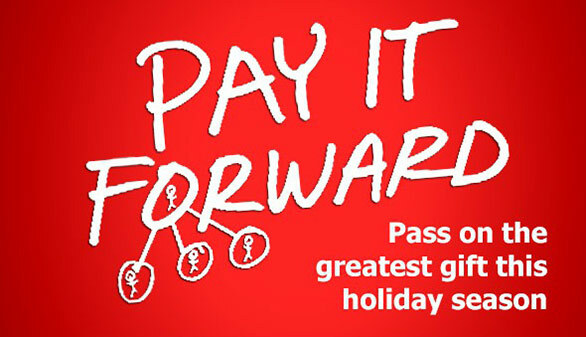 This very special blog is one of the BEST presents you can give… It’s the gift of paying it forward. 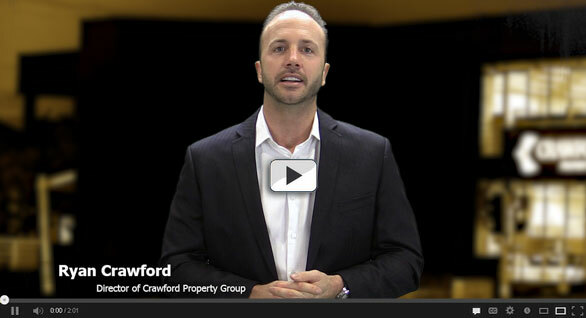 Here at Crawford Property Group we run many community and charity initiatives throughout the year. These include fundraising through casual Friday’s, City to Surf and other initiatives. Assisting our clients reach financial freedom is what we do every day. We share the tools and resources to help them accomplish and implement their goals but being financially free also allows extra funds to help other people and pay it forward. This time of year is a great time to reflect on 2014 and plan what the next year will look like for you. Whether you are ready to invest now or want to look into it for later down the track click here to come in and have a chat with us. This also could be your opportunity to pay it forward to a friend or family member so they can get started or grow their property investing journey. Thank you for your allowing us to connect with you over the past year and we look forward to working with you again soon. Holidays: perfect time to plan your next investment move! Coming into the holiday season the cost of festivities can certainly stack up with the blow out of gifts and extra expenses creating a stressful time when in fact we should be enjoying our time off. This additional spending can get out of control quickly and can often place investors in a negative position by starting the year with more bad debt. Now is a better time than ever to get your finances in order and take control of your money, easing the strain of funding these extra costs. Here are my top 4 tips for taking control of your money, starting today. 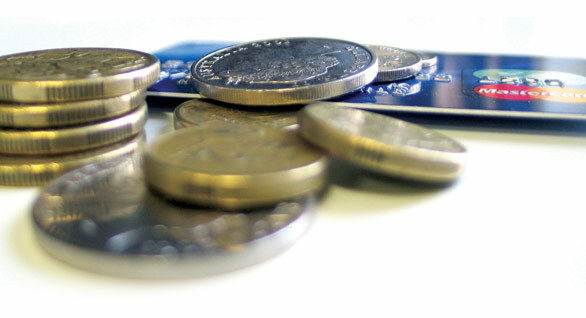 It doesn’t matter how you track your spending but whichever method you choose stick to it. After you’ve monitored your spending for a few weeks develop a budget from this. This is the 1 simple action that will control where your money is going. By the time January comes along you will be more aware of your current financial situation – but don’t forget to keep some money spare for January’s extra expenses and bills as well. Although a quick fix, these click away short term loans will set you 10 steps backwards with the extremely high interest rates they charge. When strapped for cash our immediate reaction is to borrow so if you must, consider alternatives such as an overdraft or credit card. Fees are something we don’t usually look at – we just accept they are a necessity. Make some time over the holidays to evaluate your current accounts and loans and research better deals. Monthly account fees and interest charges while they may look small month to month can add up to thousands over the long term. By taking advantage of reward credit cards, higher interest savings accounts and 0% balance transfers can all assist in reaching your financial goals quicker in 2015. More and more we live in a paperless society. Save time and the stress of having to remember when all your expenses are due. Direct debit and automate all your expenses and if you have a separate savings account (which I highly recommend) automate this deposit too. It is also a good idea to arrange overdraft protection to save yourself from hefty bank fees just in case your account goes into the red. Taking control of your money can seem overwhelming, but utilise this time of year to plan your finances and take action. Open that savings account, set up a savings plan or call around for a better insurance deal. When it comes to finances and other goals, change only happens with action and action is taking control. Commit yourself to set up a savings and financial plan for 2015 (which I will cover in another blog in the coming weeks). I sometimes liken property investing to preparing for a long road trip. When you want to arrive at your desired destination safety safely and on time, it’s important to set your GPS….right? On a road trip you have to make decisions; like how far you are going, do you have enough petrol, where will you be stopping on the way and what is your final destination? There are basic similarities to property investing also where you need a plan that helps you set financial goals, decisions on how long to invest for, how much risk to take and the amount of money you’ll need to get there. There are many types of drivers on the road, each with their own journey, just as there are many types of investors. So which type of investor are you? What are your goals? Are they short or long term? Are you investing for income, growth, security? – do you know? You’re not generally one to take unnecessary risks and happy to take your time to reach your destination. This investor is focused on minimising risk rather than maximising gains and has a long term outlook. Also known as the opportunist investor, isn’t afraid to take risks for gains. Likely to try different strategies and hold a mix of short and long term investments, with an interest in both receiving a passive income now and future capital growth. The riskiest of investors wants to get to their destination/financial goals quickly. Although this type of investor can receive better returns they are also more liable to larger losses. The type of investor who researches, talks but takes no action. Whether this is from being overly cautious, any type of investment carries risk but you will never reach your destination without driving the car. For the majority of us the destination is financial freedom. Only 1% of Australians are financially free and the majority have taken themselves there, they didn’t inherit it. They have made it by educating themselves and taking action. You can overcome the crossroads speedbumps to get to the destination. All it takes is education, some help and a little drive/ambition. Whatever type of investor you are, remember a diversified approach works best. On any journey, sometimes you are on cruise control and sometimes you need to overtake to speed the trip along. Much like a GPS – An investment expert can help you through the journey and make the most informed decisions at every stage. You’ve just left your brokers office, pre-approval in hand after being told you have $500,000 to spend on an investment property. Your heart is racing, blood pumping and you feel good enough to do a Toyota jump moment on the sidewalk – but what now? Where are you going to invest the money, how do you decide what to buy? When clients come to me with this situation I want to know their overall situation to see where the $500k would be of most benefit to their goals and current portfolio. To get to this point you would certainly want to make the most of what you have so it’s more important than ever to protect yourself from loss and maximise your equity or savings. Here are my top tips to be comfortable investing half a million dollars. Most investors spend their time focusing on their financial situation but don’t have specific financial goals. Whatever your goals are, setting investment objectives will highlight the appropriate strategies and actions to take to help you reach them. They key is these objectives should be measurable, achievable and able to be communicated toy our financial advisors, and should be reviewed at least once a year, of if your financial situation changes. Consider investments that align with your personal risk appetite & their direct ability to reach your investment goals. Every investment has some risk so it is important to weigh up the pro’s and con’s of the investment and then put a suitable strategy in place. When considering any investment it makes sense to use a professional in that industry. Same goes for Property Management. You wouldn’t ask a friend or perform a root canal on yourself would you? No! You would research and find the best dentist for the job! 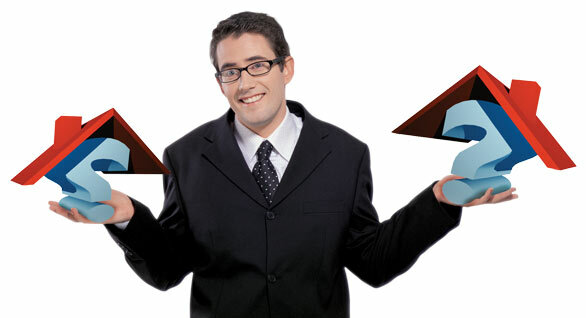 Why should investment and property decisions be any different? Maximise the use of professionals and experts to make the right decisions, avoid costly mistakes by leveraging their knowledge and your time. Through our clients I am continually reminded of the importance of having the correct ownership structures and the right advice on investment loans. It is important to understand how you can achieve the maximum tax benefits from an investment purchase. The goal is to have a structure that is appropriate for you and your investment objectives that minimises risk, maximises flexibility for your future investment goals as well as providing tax effectiveness. Determining the suitability of a structure should be discussed with an experienced advisor. Are you looking long term, short term, or both? Are you wanting safe returns (generally a lower rate of return) or investments with more risk (potentially higher rate of return)? What types of investments are you genuinely interested in/familiar with? Do you like hands on investments or passive investment income? What rate of return would you expect? Which type of investment will get you to your financial goals sooner? There are no guarantees in any type of investing, but chosen correctly your $500K investment could potentially grow into millions over time. The key to success remains in doing your research and ensuring the properties you invest are worthy candidates to add to your portfolio. It seems like this time of year we get even busier, with no time for planning ahead. Many people fall into the trap of the day to day hoping the future will just work out. I however believe in the Benjamin Franklin quote “failing to plan is planning to fail”, not just to enjoy the life you want, but also as a responsibility to our family and loved ones future as well. 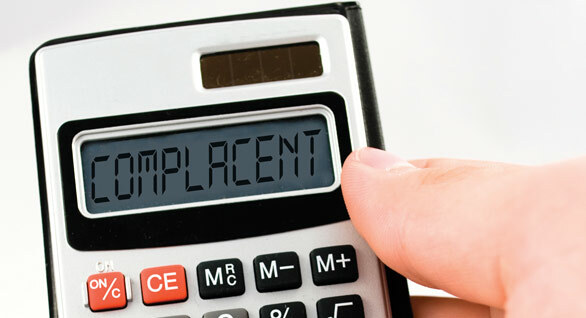 So my topic for this week is… Is being complacent costing you money and lost opportunities? When was the last time you reviewed your loans? You probably spend a huge amount of time researching whether to get the latest iphone or gadget but how much time do you spend reviewing the largest expenses we have being interest and tax? With the current low interest rates it is easy to get complacent. Many of us have reduced our loans from the 8% rates from five years ago and now they have come down to around mid-5s, we think we have a great deal. But you can actually do yourself a disservice if you aren’t looking around and reviewing the interest rates. The banks won’t be ringing you. By being more proactive and even getting yourself a mortgage broker can help you save even more. 2) Do you know how much you can borrow? Understanding your borrowing capacity and how it can move up and down depending on the marketplace, your working status, equity in your existing properties, even the lending criteria applied by your lenders. Constantly updating your buying capacity by keeping in touch with your broker will ensure you have a clear understanding of when you can purchase again and how much you can spend. This is key to capitalising on the best deals on offer at the right time. 3) How much equity do you have? Eighty per cent of property investors only own one investment property. Many investors simply don’t invest to their full potential. They become complacent either thinking they have done enough by investing in one or two properties, or don’t have their finances structured correctly to allow them to move forward. Have you tapped into your equity to leverage into an investment property? Are you literally sitting on your next step to wealth? 4) Have you reviewed your monthly bills and insurances? We all know the cost of living is getting higher and higher but these days there is much more competition with insurances, gas, internet and household services which we can use to our advantage. Shop around, get quotes – you can’t save what you don’t know and you can be literally saving thousands a year by changing your suppliers. Complacency is an easy trap to fall into. The most successful people make things happen, they don’t watch things happen. It takes effort, sacrifice and forward planning not to get complacent but you need to start today. Whenever I ask the question in my seminars “by show of hands, how many of you want to invest but still have money and be able to afford the things you want” almost every hand goes up. The challenges that prevent this usually fall into two baskets… saving and paying off debt. Saving is serious stuff. It’s the step that allows for investing in the future and building our financial security. 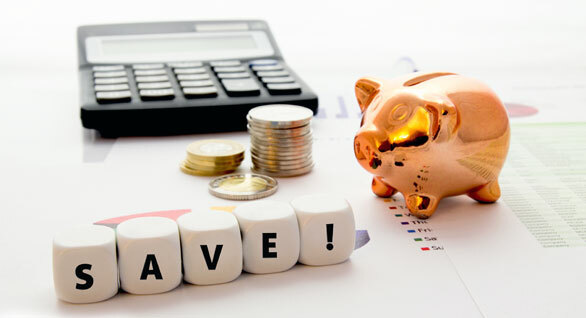 A study just came out from ME Bank that found less than half of us (46%) manage to save money on a regular basis and 12% of us dip into personal savings just to make ends meet. Rest assured, saving, investing and still having money left over for life’s comforts can still be achieved. Here are some of my savings/invest/spending balance suggestions which has worked well for me and my clients as well as some of my best saving for investment tips. The starting point to freeing up cash is to know where it’s going so get honest and track your spending. This can be a real eye opener but is crucial to be able to free up cash for saving and investing. Growing savings requires commitment. Not sometimes. Not when unexpected money comes in but week in week out it needs to become a habit. It doesn’t take a lot to get started to see regular savings become a nest egg to be able to invest with. I cover in my events how clarifying your financial goals will get you where you want to go faster. While there are no overnight get rich quick guarantees, there are many options to consider to accelerate your savings and achieve your goals sooner such as reviewing your budget and spending as per point 1), borrowing and joint ventures are a few to evaluate what is right for you. Learn to prioritise and before you spend, think long term. The key is don’t dip into your long term savings to pay for short term luxuries. With a little planning you can have both and maintain a healthy sense of balance without too many feelings of “going without”. When saving and focusing on “going without” it seems like your friends or work colleagues are buying the fancy car, booking the expensive holiday and living it up. Just because they appear more affluent doesn’t mean that they are – they could be living off plastic with no savings for all you know! Focus on your own goals and savings. We are starting to see real opportunities in selected property markets for those wanting to action their financial goals through property investment. Now is the time you give your future the attention it deserves by learning about the next property cycle. (You can read a previous blog post about property cycles here) but with so many mixed messages one of the most important tools you need are unbiased market updates. This is one of many things we’ve been providing investors through our workshops and events and why I’m recognised as one of the go to property investment sources in the media. Our monthly market updates are by our experienced property commentators and investment experts who are on the ground with their finger on the pulse in each of these property markets. 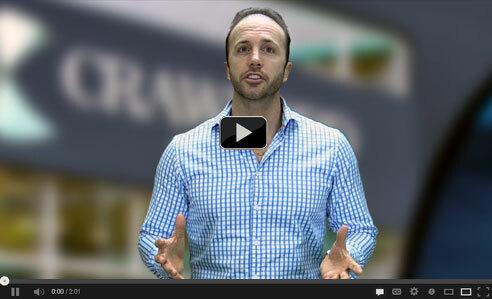 Watch this week’s video here as I share some of the latest market watch information. It all sounds so simple doesn’t it? I’ll buy a block of land or a house, then I’ll demolish and build multiple units. Then I’ll sell some, then I’ll….. and it gets a bit too much. Most of us get on the property investment bandwagon to increase our net worth, generate income and inevitably achieve financial freedom. Contrary to popular belief you don’t need to be earning six figures to start investing, in fact most successful investors I know all started out small. Whether it’s $50 or $500, get into the habit of putting something aside each and every week to boost your starting balance. It’s not about how much you save if you’re only doing it every now and again, it’s about making that commitment week in, week out. The major banks will expect to see a history of geuinine savings when you apply for your next loan. You don’t have to launch straight into a million dollar investment. Purchasing a smaller investment will get you into the market and open up your options. You will also learn and grow by taking action, not by thinking about it! We are a culture of wanting everything now including huge financial returns but that’s not the way property investing usually works. Entering the property game is a long term strategy that will get you to your financial goals, if you stick with it. There are an abundant of great investment opportunities out there, may of which are not where you’d expect to find them. Do your research, meet industry experts and you will find the perfect opportunity to start. Owning a share of something is better than owning nothing so if you’re still unsure or not ready to go out alone why not consider investing with other people. It’s a good idea though to invest with people who have experience already that you can leverage off. Property wealth can seem like its ever so slow at first, but it soon accelerates. The key is you have to make a start, no matter how small. With property investment all you need is time, the right information, and patience. Leave a comment and let me know. Is there something you’re stopping yourself from doing because you’re not willing to start small or at all?